TVS Apache RTR 160 4V Dual Disc ABS gives a mileage of 56.1 kmpl in highway, as tested by our experts. I am in love with my bike. Is is better than Pulsar? 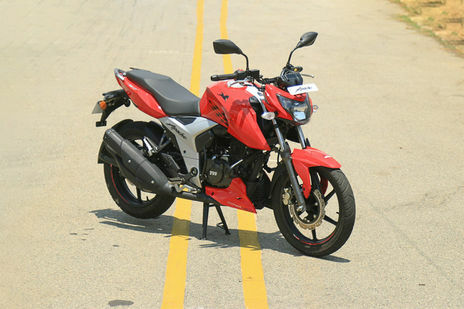 Q. TVS Apache RTR 160 4V ka mileage kya h? A. The ARAI claimed mileage of Apache RTR 160 4V is 60 Kmpl .The claimed ARAI mileage for the TVS Apache RTR 160 4V petrol is 60kmpl. Q. Can I take TVS Apache RTR 160 4V at the downpayment of Rs20,000/-?